*The following post contains affiliate links but was not sponsored by Audible. All thoughts and opinions are my own. I caught the reading bug at age nine. Historical fiction and mysteries were my fuel and favorites. I wrote my first novel at age twelve, and my best friend and I combined lockers so we could have our own book in-class library that same year. I wrote my second novel at age fourteen, my friends passing the spiral bound story back and forth behind the teachers' backs, leaving notes in the margins about what could, should, or would happen next, or about their favorite characters. I devoured books by the dozens, on the bus, during class, at the lunchroom table, then late into the night after curfew. Reading became my thing. I'm also a physical book girl at heart, so I was initially wary of e-books and audiobooks. Eventually I downloaded a reading app and a few books to take on my tablet, but I'd get a few chapters in and buy the paperback to finish. When I first heard about Audible, I thought my interest would last as long as my stint with podcasts (aka about a week). Much to my surprise, it's stood the test of time! Well, about six months, but it's still going strong! Being off at grad school, I lived four to five hours from home, depending on traffic, and I soon found that nothing made the time go by as fast as a good audio book. Audible by Amazon provided the perfect solution for those long drives across Oklahoma and Texas, keeping me good company withheld favorites and new finds. 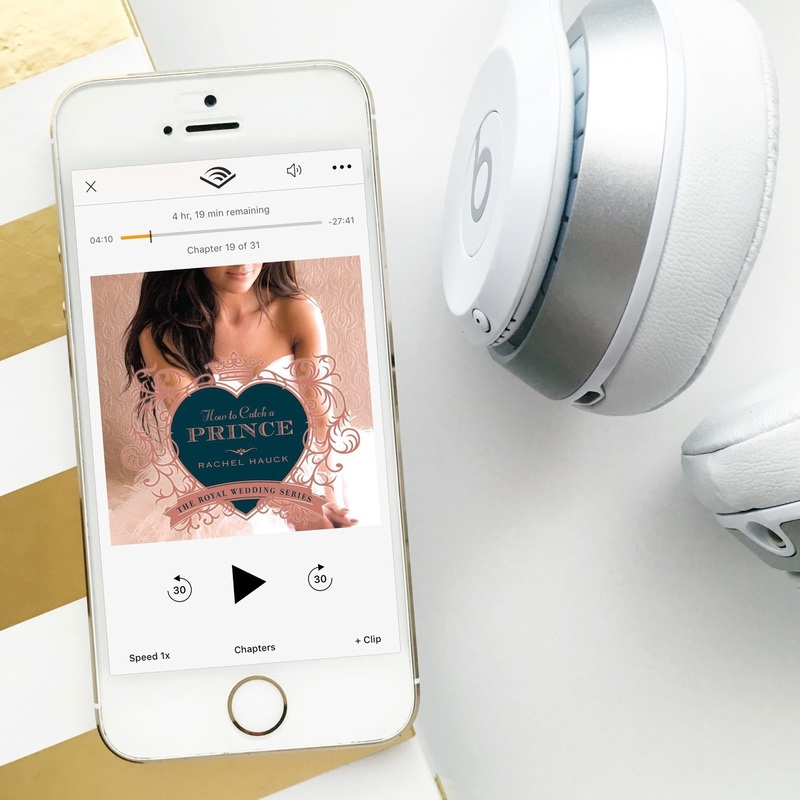 With Audible you can listen anytime, anywhere, with your smart phone, and with a subscription you can snag audiobooks at a discount whenever your heart desires. There are thrillers, mysteries, biographies, series, romances, histories, and more, and many of them are narrated by your favorite celebrities! I'm a HUGE fan of the Pride & Prejudice film with Kiera Knightley, so when I found the audiobook narrated by Rosamund Pike (she played Jane in the film) I snagged it right away! A favorite book found new life when read aloud --and there's something about British accents that get me every time. I loved it! Similarly, I LOVED The Lizzie Bennet Diaries web series, and when I spotted The Secret Diary of Lizzie Bennet narrated by Ashley Clements (Lizzie herself! ), I squealed. She did so many of the voices so spot on, and it was captivating to follow. This is what got me started and got me HOOKED, let me tell ya! Up next on my list is The Great Gatsby read by Jake Gyllenhaal (I swoon!) and Harry Potter and the Sorcerer's Stone narrated by Jim Dale (I cry tears of nostalgia and joy!). *And for those of you who want to barrel through, Audible also gives you the option to listen to books at various speeds. In a time crunch? Double it up! Will you go for it? Start your 30 day free trial today! Which TWO FREE AUDIO BOOKS will you pick up? !